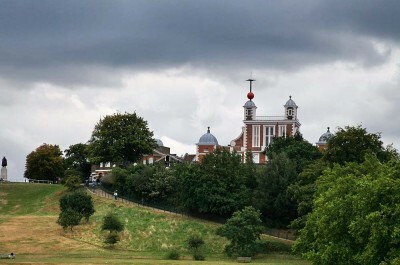 Greenwich, is a borough located in South East London. The area is filled with many tourist attractions and has a lot of history behind it. One of the main things to see while in Greenwich is the Cutty Sark. The Cutty Sark is a clipper ship that is very old. It was built back in the year of 1869, and it is actually one of the last of its kind remaining. It is also considered to be among the fastest of its kind. Greenwich is located near the River Thames, so visitors can feel free to take a walk along the river. This river is very large, and it is actually the second largest river located in the United Kingdom. After walking along the river, guests should try visiting the National Maritime Museum. This museum is considered to be the best maritime museum in the entire country. As matter of fact, it is the largest museum of its kind in the world, so make sure to set aside at least a half of day when planning on visiting the museum. Visitors should also take time to see the Royal Observatory which plays a big part in the history of both navigation and astronomy. This is also the location of the prime meridian and it is located right by the River Thames. One of the best things to do in Greenwich is to shop and eat. Visitors will find that there are many different types of restaurants and retail shops located throughout the district. The district is also home to a few markets. No trip to the district would be complete without doing a bit of shopping and eating. Greenwich Park is one of the best parks in all of London, and is also a must see when visiting the district. The park sits on more than a hundred acres. There is the Pavilion Tea House located within the park and there is also the Observatory Cafe. Both of these places offers guests drinks and food. Also, make sure to check out the remains of an ancient Roman building while in the park, and go and take a look at the beautiful Queen’s Orchard, where many fruits and veggies are grown. There are a few ways to reach the district. There is a tube station located there, or you can get there via the train. However, you may want to take the riverboat, as it is relaxing and will offer you great views of the river. Taking the bus is also a good method of transportation to get to the district. You can also drive there, but traffic is usually dense, so it is sometimes easier to take some form of public transportation.